Remember when our Vice President, Joe Biden, was talking about what a riot Will&Grace was and then President Barack Obama told America that gay marriage was awesome and a year later we could get married in California? That was fun. This blog was founded four years ago on the notion of exposing the cryptic, closeted homosexuals abounding in horror. Since then, things have been moving quickly. When a lesbian hosting the Oscars is seen as the "safe choice," we've come a long way indeed. I think I stopped writing as much as I used to because I'm in a place in my life where, thankfully, I no longer have to look for subtext to feel like I'm a part of something. I'm perfectly comfortable with where I fit in the world. I'm getting old. 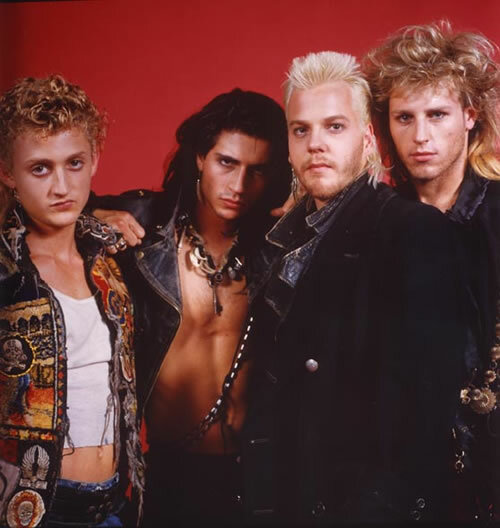 I have no patience for basic, self-hating gays (bret easton ellis). I have no patience for having to root through stories to find the gay hidden in the bramble (marvel movies). ...the proof is in the FaggotyAss Pudding. During my self-imposed hiatus from diegesis, a film was released that exemplifies how we no longer have to live in shadows; a film bold enough to assert that gays aren't spineless, mincing victims or homicidal sociopaths. 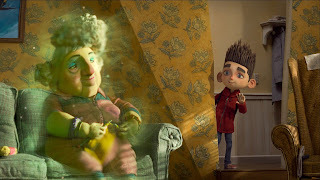 This film, ladies and gentlemen, is ParaNorman. Norman is a sweet boy. An outsider, he doesn't have a lot of friends and spends most of his days watching old Italian horror movies on V/H/S and talking to his grandmother (played by ELAINE STRITCH). It's like a Polaroid from my own childhood! Over the course of the film, we see Norman socialize and learn to accept himself despite being different. Along the way he saves a town from three hundred year old ghost zombie bullies and realized that everyone feels different at one time or another. He grows up. "You can't stop bullying, it's part of human nature." Here's the kicker: ParaNorman prominently features an openly gay character! Mitch is a popular and handsome kid who all the other kids look up to and he just so happens to have a boyfriend. Mitch isn't sad, spineless or cruel. He isn't angst ridden or martyred in the end. He just exists alongside the other characters. When I saw this movie in the theatre chock full of children, no one laughed at the reveal. This was a real moment, not played for laughs and the kids completely accepted it. 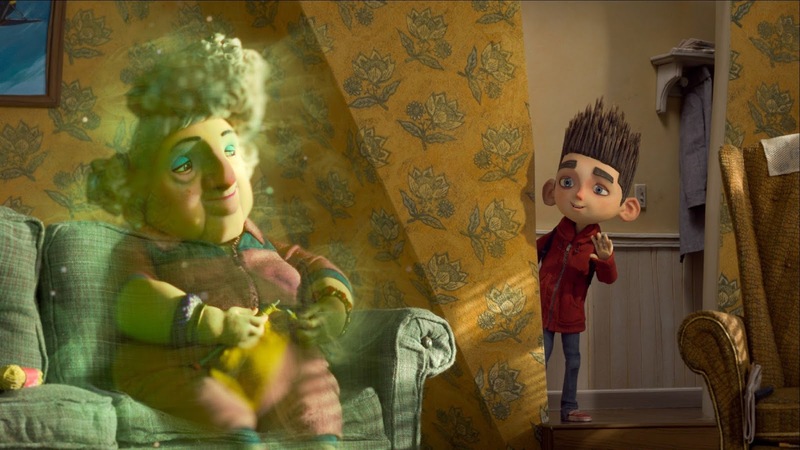 ParaNorman is the future. 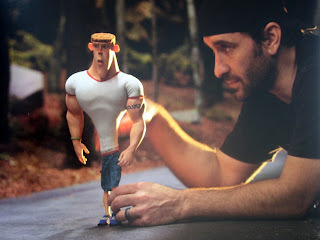 This generation's answer to The Goonies. 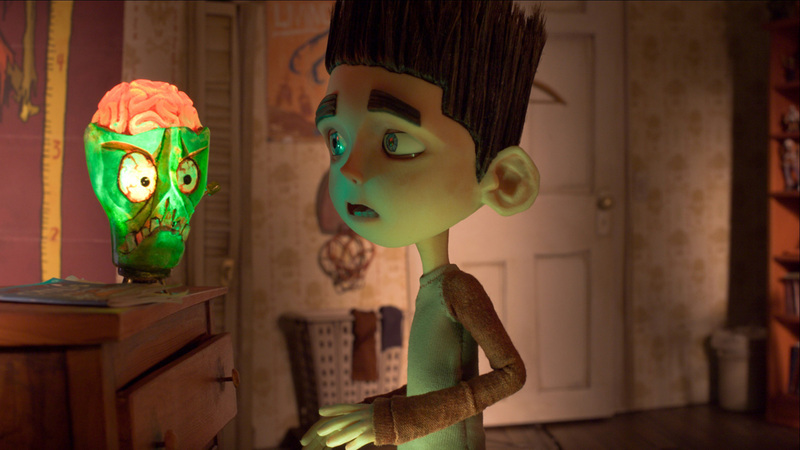 Paranorman is made with so much love you can feel it in every frame. Its animated characters are consistently more layered human than most real-life actors. Life is hard. The world is a scary place. Awful things happen every single day. Everyone feels like an outsider - especially bullies. How we handle insecurity and how we treat one another is what differentiates us from the Real Housewives of New Jersey. So, whether you're black or white or gay or straight or a witch or a bro, you should catch this movie on Netflix streaming immediately. Consider it your moral imperative.